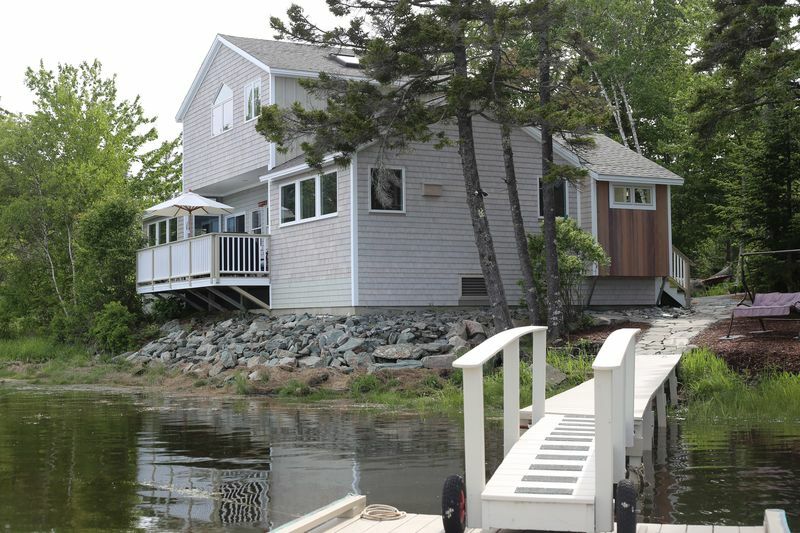 Jennifer D. said... Aug 6, 2018 Great House! Gail M. said... Sep 13, 2017 Everything was clean and comfortable! 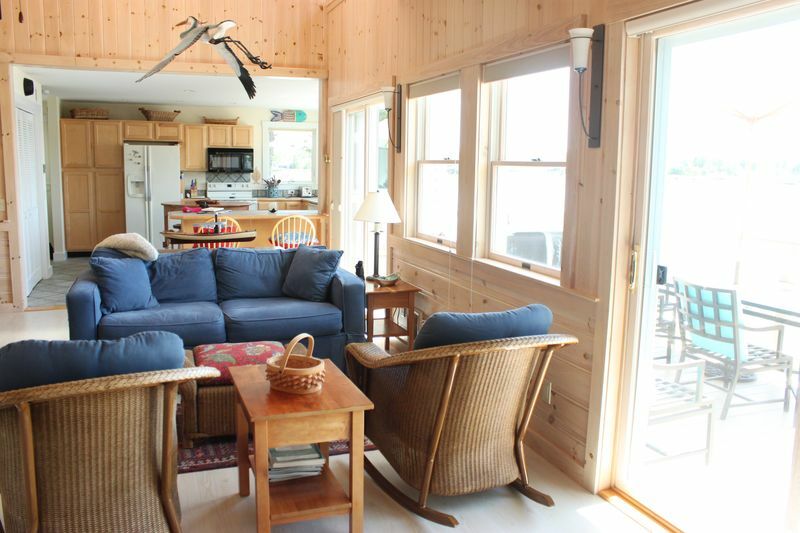 Sea Breezes is a beautiful two-bedroom three bath cottage literally at the water's edge at high tide. 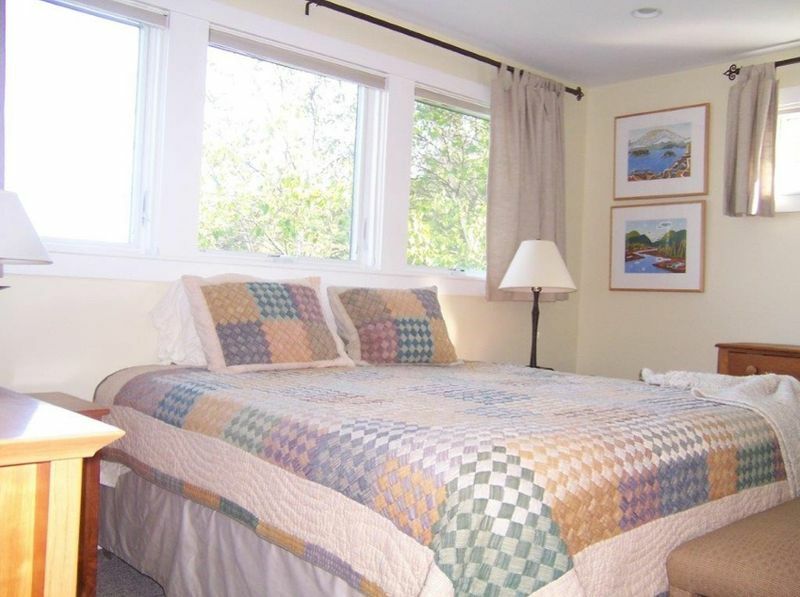 The king master bedroom is on the first floor, the en suite bath with two shower heads. 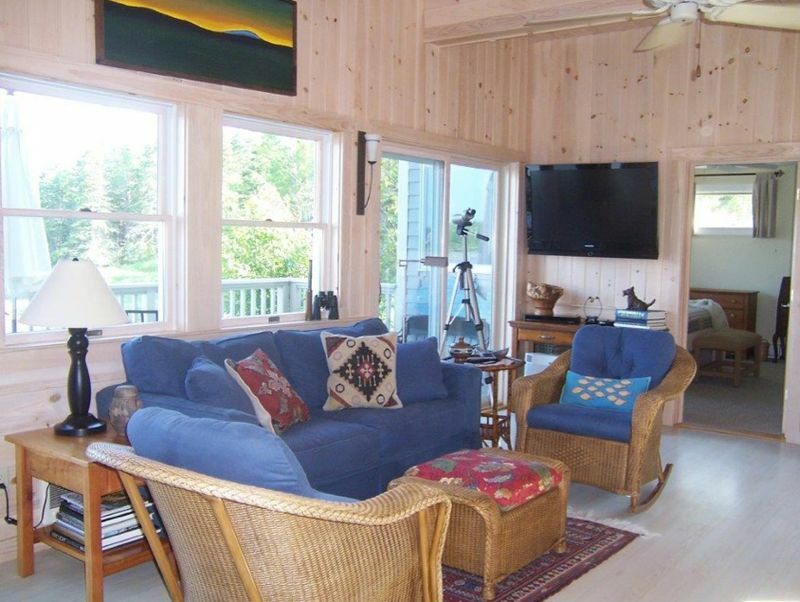 It has a flat screen TV as well. 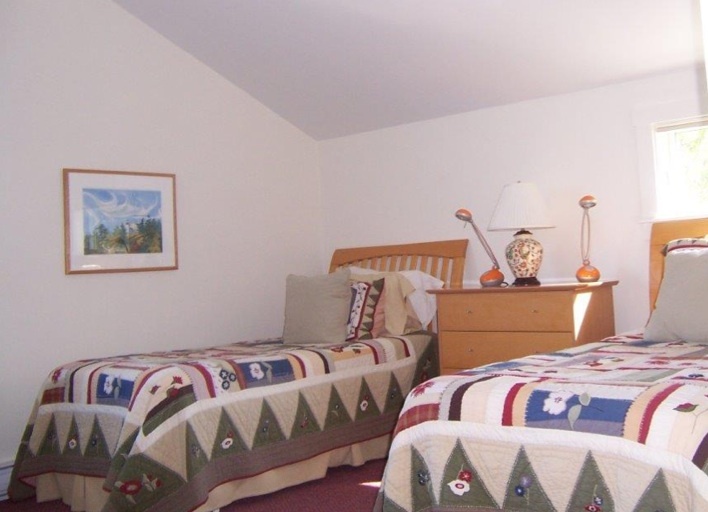 The upstairs bedroom has two twins plus a second floor bathroom with shower. A queen sleep-sofa is available in the living area for a maximum occupancy of six. The third bath has a shower and a washer/dryer off the kitchen. 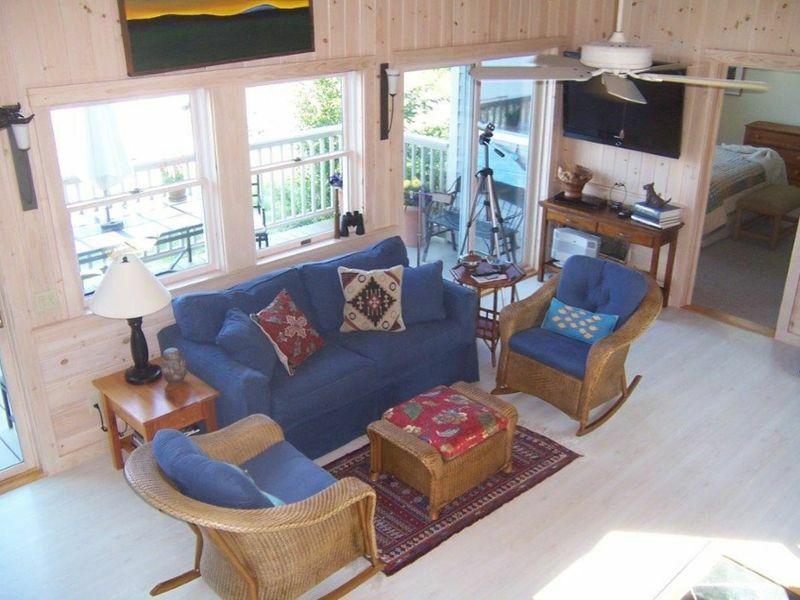 Sea Breezes faces east which makes morning coffee on the private deck, overlooking the water, delightful. 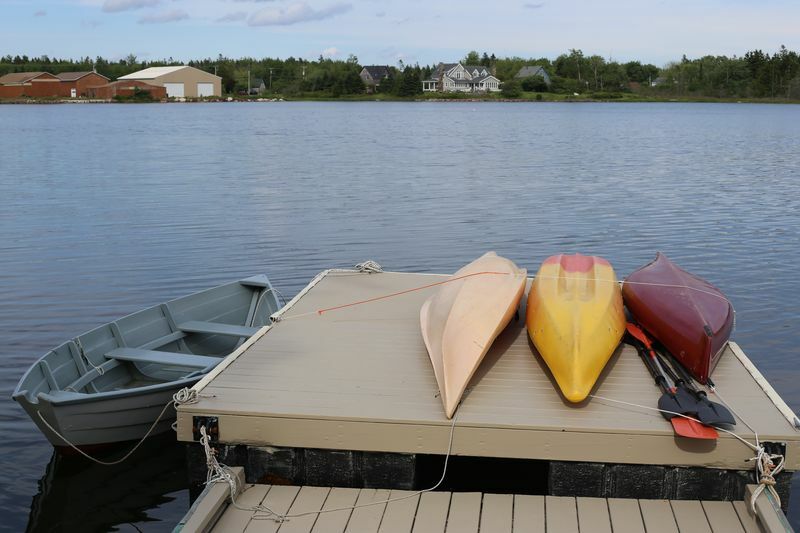 There is a shared dock with two other cottages, row boat and kayaks at the water's edge for all our tenants use. The recreational, cultural, and dining offerings in this area are phenomenal.